The Stagg 5 metre 8 way XLR multicore loom is the answer to your studio or stage cabling nightmares. Need the signal from 8 microphones to travel 5 metres? Then this handy multi cable snake from Stagg is what you need. 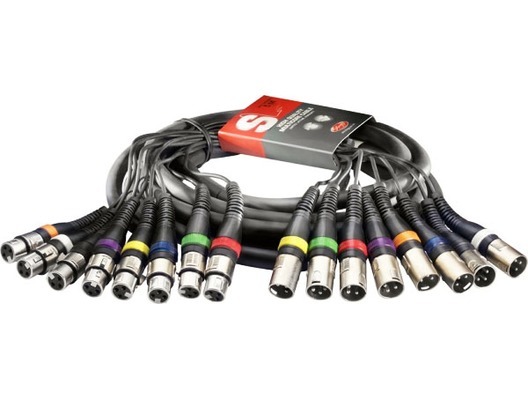 The multi core cable has 16 colour coded, high quality female and male XLR terminals (8 each) and measures up to 5m / 15 ft.